This situation is so easy to bypass that I wonder why websites even bother. You bypass country blocking by connecting through a VPN, tunneling your data to the country you want to virtually be in. To the US, for example. You’ll then appear to have a US-based IP address, and these messages go away. 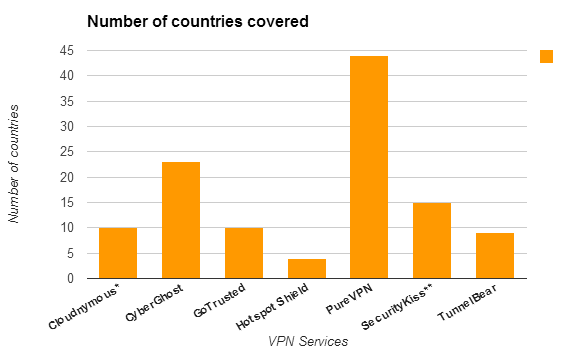 However, it’s easy to feel overwhelmed by the number of VPN services out there. I know I was. Some are aimed at protecting your privacy, some focus on allowing expats to view their online home-based streaming services, some are better suited for shopping online from abroad. It should cover the world, of course, not just the US and the UK. And I’m part Brit stating this, imagine. The more countries you can browse from, the better. If I’m Japanese and want a virtual trip back home, then JP should be on list. It should work on all devices. All meaning Windows, Mac, Android and iOS. Linux is a plus, true, but I won’t include it as a must. It should be easy to use, easy to setup and unobtrusive. Although I’m a techie, I’d rather not go back and forth to change my DNS settings. I’m all for a simple app which you switch on and off, once in a while selecting the country you’ll browse from. No ads, no flashing notifications, just a little icon sitting next to battery level and the volume down right on my computer. It should allow to tunnel all your trafic. Some tools only tunnel web trafic for certain sites. This last option solves most country blocking problems (access to streaming sites, online shopping), but won’t allow you to tunnel off-brower data (from an email client, for example). It shouldn’t be slow. More servers to go through means a slower throughput, generally speaking. However, some services compress your data through the tunnel, compensating in a way. I’m willing to pay for this service, believe it or not, as long as it remains reasonable. Prices today for the Premium service are generally around $5 USD a month, which qualifies as reasonable. Some market the service over $10 a month however, often to desperate expats missing their favorite shows back home. Let’s not be that desperate! It’s better if it’s encrypted. For some of us, it’s the country where we’re in which is the problem, not the country we’re trying to browse from. Most services offer encryption, which is a good-to-have option. Popularity. Finally, I’d prefer it to be used by more than 3000 fans. Not an absolute rule for sure, but a popular service often works more fluidity than a service just launching. TunnelBear, this neat looking product meets the criteria. Hotspot Shield, an interesting option on the cheap side, with however only a handfull of countries to connect from. CyberGhost, a pricier option with a good worldwide coverage and well-designed product to use. 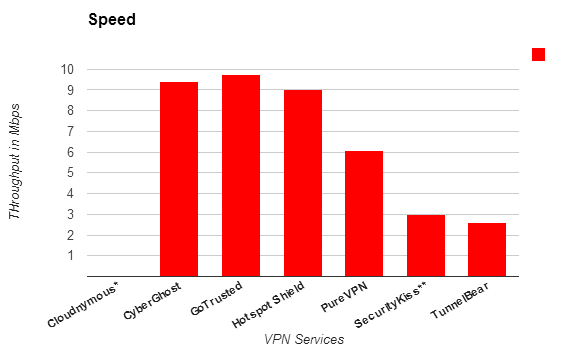 GoTrusted, another contender with good coverage, expensive however as you only have a per-month tarif. Cloudnymous, definitely an interesting concept with a per-server / pay-as-you-go pricing and a cloud-based scalable infrastructure. PureVPN, with a very large country coverage and the most evolved website I came accross. SecurityKISS, an interesting and scalable offering starting at a very low price with a respectable number of countries covered. Cloudnymous Free (crouded) servers in RU and DE. Per server and per day or per month. Average $4,5 per month per server. RU, DE US, CA, UK, FR, NL, DE, SE, RU, SG, JP. CyberGhost Ad-supported. Waiting time to be connected. No torrents. Not all countries included. Premium: $40 per year or $7 per month. Faster and more virtual locations. Premium Plus for 5 devices: $70 per year or $11 per month. 15 countries including US and UK. 23 countries including US, UK and CH. GoTrusted None $6 per month, so $72 per year. N/A US, CA, FR, IE, UK, DE, SG, KR, JP, HK. You cannot select the exact country in Europe or Asia. SecurityKISS Limited countries, 300MB/day, limited speed and no streaming. $3 to $10 per month $24 to $90 per year. The basic plans can be enough. US, UK, FR, DE 10 to 16 countries, including US and UK. TunnelBear Up to 1,5MB per month. AU not included. $5 per month (Giant) or $50 per year (Grizzly) US, UK, CA, DE, JP, FR, NL, IT US, UK, CA, DE, JP, FR, NL, IT, AU. This speed charts needs some subtitles. When tested, the throughput without VPN was stable at 11 Mbps (the early Sunday morning kind of stable). Speed was measured by downloading a 1GB Microsoft Service Pack using Free Download Manager. Rates were recorded every 5 seconds using Net Meter, for one minute. The charts shows the average rate. For Cloudnymous, you need to buy credit to test, which I was willing to do. When they asked “To complete your order, please email us a scan copy of your picture ID” and “Please provide us with an alternative phone number by which you can be reached”, I decided to forget about the test. Talk about a privacy product. For SecurityKISS, I was informed that the free version was not available in my country, which you can guess pissed me off. Still, I bought a one-month pass and used it for testing. 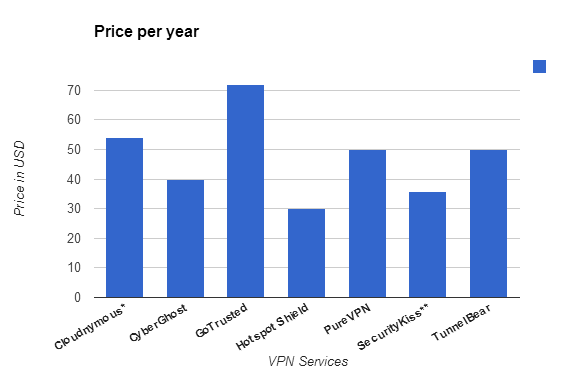 Based on this data and on testing their products, CyberGhost is my N°1 choice. Reasonably priced, with a good country coverage and great speed. Plus, their product is well designed and easy to use. The only downside is that to use Cyberghost on more than one device, you’ll need to upgrade to the pricier Premium plus. PureVPN is my N°2 choice with it’s great country coverage and pretty good speed, although a little more expensive than Cyberghost. The other providers remain interesting choices, but are either expensive, either limited in country choices or are just slower. Thanks for reading and let me know what your personal experience is!